The 2014 Winter Olympics in Sochi, Russia, were a scam from the very start. Sochi is a resort city with mild weather that had nothing close to the infrastructure necessary to host the Olympics, yet the initial budget was only $12 billion dollars. In comparison, the budget for the 2010 Winter Olympics—held in the much more developed Vancouver, Canada, whose metro area is seven times bigger than Sochi—was $8 billion. The real final cost of everything in Sochi, as documented in this exhaustive Businessweek piece? $51 billion. But Vladimir Putin had a plan, you see! Instead of the Russian government shouldering the $39 billion in cost overruns. they were going to get rich Russian oligarchs to do so. While it seemed like a harebrained scheme, there was at least the "hope" that Putin's government was so corrupt that it could essentially run a protection racket, and demand the oligarchs pay to be able to continue doing whatever shady things got them rich in the first place. Today, almost exactly a year after the opening ceremonies, AP dropped a big story on the Games's finances. You'll be shocked to learn that, with oil prices dropping and Russia facing a financial crisis, the plan has fallen apart and the Russian people will end up biggest losers, ultimately paying for the entire thing with their tax money. Sberbank, which is Russia's largest bank and is run by close Putin ally German Gref, stepped in to buy the ski jump and ski resort at the government's request. It took out a $1.7 billion loan to fund more than 70 percent of the infrastructure project. Today, the project loses money and the bank remains saddled with the massive debt. 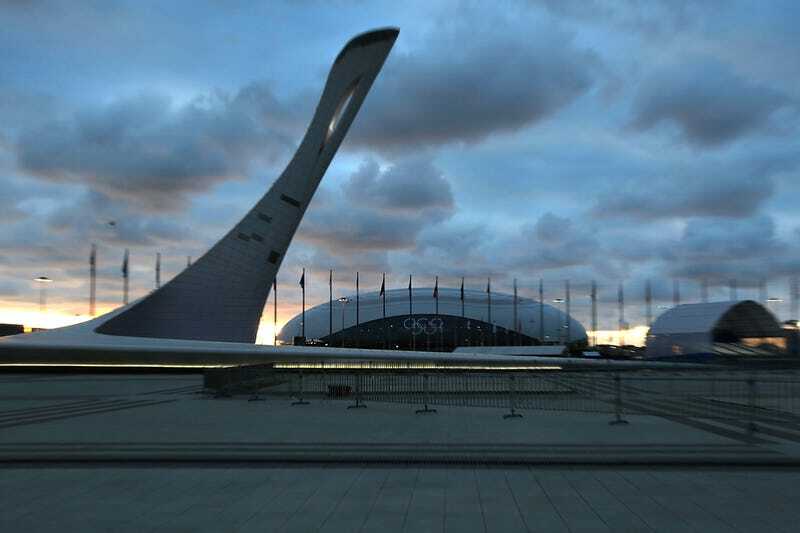 For Sberbank, the solution has been to obtain Kremlin authorization to swap its Olympic project, which cost nearly $2.7 billion at the time, for the Sochi Games' media center, which was owned by the regional government. Ilya Dzhus, a spokesman for Deputy Prime Minister Dmitry Kozak, confirmed the deal to the AP. It's not clear how much the media center — similar to a large convention complex — would fetch if sold on the market. But the key to the deal is that by giving the ski jump, which is still used by the Russian national team, and the ski resort to the regional government, Sberbank is washing its hands of the $1.7 billion loan. Sberbank, which has the state as its majority stakeholder, did not respond to numerous calls and emails seeking comment. And what about the huge investment into a rail line that was supposed to be the legacy project that would benefit the people of Sochi for decades to come? And the fun part is, despite Sochi being such a boondoggle, Russia gets to do it all over again in three years when they host the World Cup! In the Olympics, the government produced a detailed plan of infrastructure to be built — from arenas to new sewage works. By contrast, it's unclear what projects will be commissioned for the World Cup, apart from the stadiums. Plans for the most expensive World Cup infrastructure — rail lines estimated to be worth $14 billion at the time — have been repeatedly revised and are likely to be reviewed further. While Sochi might be the biggest, all large international sporting events are scams, providing the hosts with little more than a fun month at an exorbitant cost. On that note, here's a fun slideshow of abandoned Athens Olympics venues.